People are very ignorant these days when it comes to grout. You can find specialists for Tile and Grout Cleaning Melbourne to get expert advice. Various germs settle down on the grout and build the risks like Asthma and other respiratory problems. Infants can catch any illness quickly if we don’t maintain proper hygiene of the tiles. Tile cleaning is a must for protection of grout from wear and tear. If you want to increase the lifespan of the grout then make sure to avoid filthy dirt, cleansers, soil particles as well as microscopic organisms from settling down in your tile grout. It not only gives a beautiful look to the flooring but also lasts for many years. You can damage your tiles and grout by using acidic cleaners. While purchasing liquid cleaners, make sure to find the liquid which is appropriate for your grout. This will save your money as well as cash from grout replacement. 1. Avoid using acidic cleaners from brutally damaging your grout. 2. To get that extra shine, apply high gloss tile sealer. 3. 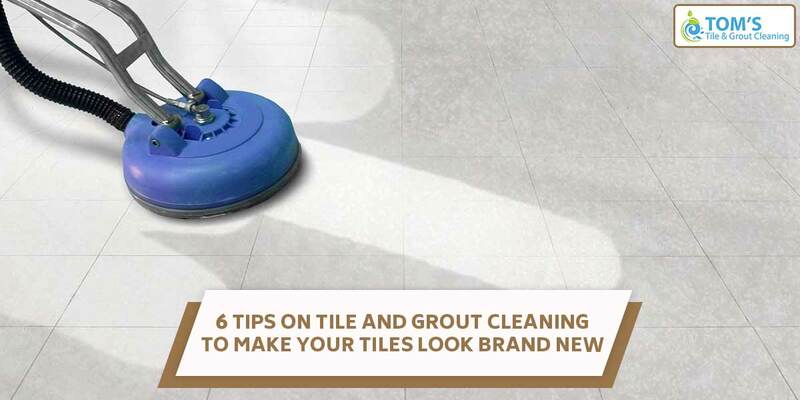 Vacuum the tile to remove soil particles from the grout. 4. Use only professional tile and grout cleaner. 5. Light cleaning is an excellent way to protect and restore the shine of the tile. 6. Always wash after wiping the tiles with harsh or mild cleaner. If you want to get your tile and grout to look brand new call professional Tom’s Tile and Grout Cleaning Melbourne professional anywhere across Melbourne to get same-day tile cleaning, grout cleaning, onsite cleaning on 1300 068 194.